All homes currently listed for sale in the zip code 78207 as of 04/26/2019 are shown below. You can change the search criteria at any time by pressing the 'Change Search' button below. "Building Innovation out of Metal Shipper Containers, durability, strong and very comfortable, building up to City codes. Several other plans and locations, please ask for more information"
"THIS HOME OFFERS MANY OPTIONS--INCLUDED IS A SECTION PREVIOUSLY LEASED OUT FOR RETAIL--THERE IS A PORTION (APPROX 400 SQ FT) FRAMED IN THE BACK---NEEDS FINISH OUT--EXTREMELY LARGE CONCRETE PATIO IN REAR--1 BEDROOM APT CURRENTLY IN A MONTH-TO-MONTH--QUICK ACCESS TO HWY 90, IH 10, IH 35, AND US 281"
"EXCELLENT LOCATION IN PROSPECT HILL Downtown San Antonio! This vintage beautiful home is in a prime location and waiting ready for someone to take advantage of the potential! Minutes to Downtown shopping, Entertainment, the Riverwalk, Our Lady of the Lake University, and so much more! Lets make this opportunity a reality TODAY!" "BIG .57 ACRE LOT THAT IS BORDERED BY CAROLYN ST. ON ONE SIDE AND BOGLE ST. ON THE OTHER. IDEAL TO CONSTRUCT MID-SIZED HOMES WHICH COULD BE SOLD OR RENTED. FOUR WATER METERS IN PLACE, 2 EA FACING BOTH STREETS. EXISTING HOME IS OLD BUT HABITABLE AND WILL PRODUCE RENTAL INCOME. THE RETURN IS WELL WORTH THE INVESTMENT. 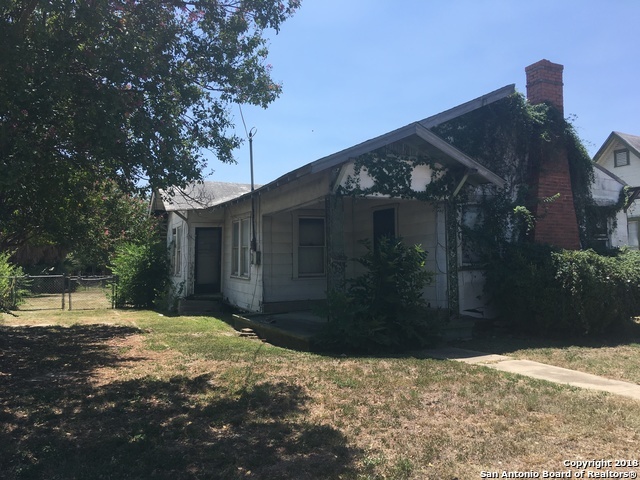 PROPERTY ACROSS THE STREET (WITH THE ARMY TRUCK) IS ALSO PART OF LISTING." 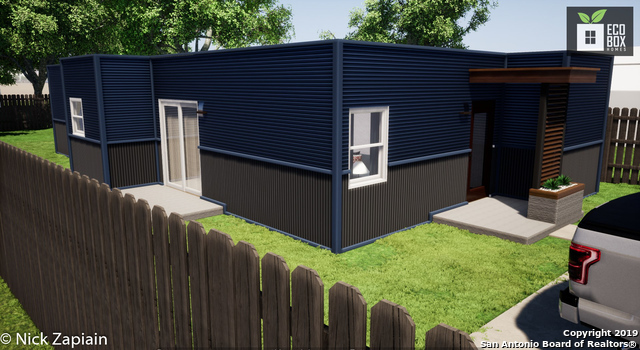 "NEW BUILD - 3/2 Home will be Cute as a Button - neighbor will be a new homes also. Close to downtown, Details in ceiling of living and master bedroom. High quality tile, carpet, granite in kitchen; private fence/sod will be provided. Home will be universal w/ widened doors that measure at 36 for handicap access. Excellent price for new build. 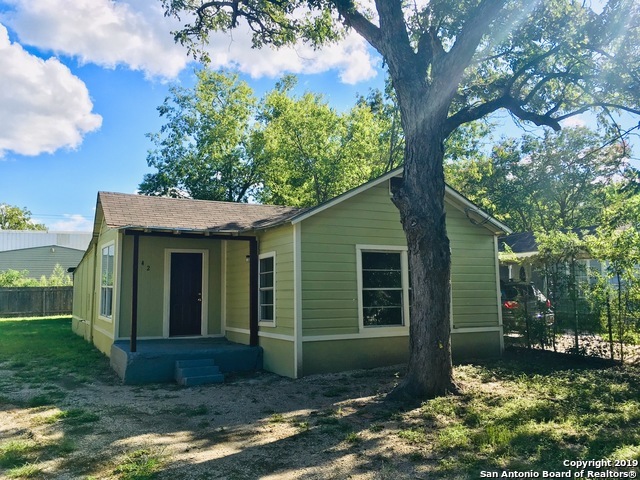 Will go fast (preview 1826 Santiago St. for style)"
"Remodeled home in highly desirable location. 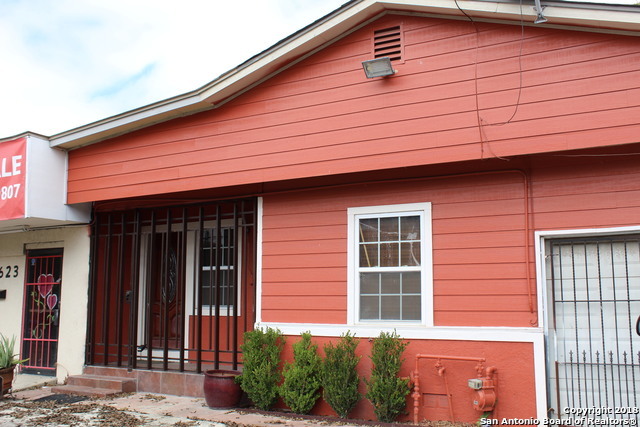 Convenient to Downtown and Major Highways"
"Excellent location on the Westside of San Antonio. Property has already been zoned C3 for business. High traffic thoroughfare running from downtown to Our Lady of the Lake University. Excellent properties for attorney's office, medical offices, retail center, Public transportation avaiable within walking distance. Motivated seller, seller will consider all offers." "Minutes away from downtown! 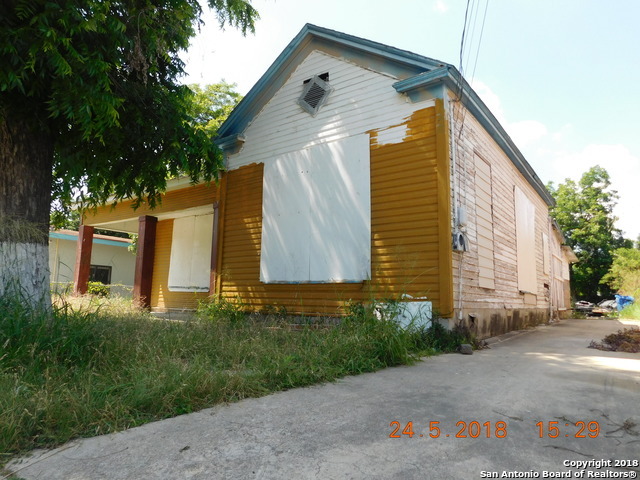 This home has great potential with a detached storage that was originally built for a 1bath/ 1 bdrm apartment (not finished) use. This home has a large covered porch in a quite neighborhood, spacious living area, dinning and kitchen combo. This home also has great income potential for a possible B&B or a perfect home for the right family!" "This house has 2 bedrooms 1 bath plus one bonus upstairs room and a full guest room with full bath in the backyard." "Completely remodeled home. New roof, fresh paint inside and out, new laminate flooring & carpet, new tiled walk-in shower & new kitchen cabinets." "Newly updated 3bed 2 bath home with opened floor plan. Close to several shopping centers and major highways." "Spacious two bedroom one bath with an open floor plan. Sizable kitchen with plenty of cabinets... refrigerator and gas stove convey. Dining area opens up into the living area. The bathroom is handicapped accessible with a standing shower that has handle bars located along the wall. Plenty of room in both bedrooms with good size closets. Wonderful back yard with plenty of space...storage unit coveys with the house. Perfect starter home... plenty of space for buyers that are wanting to downsize." "This is a nicely restored and well maintained home in an established west side neighborhood! 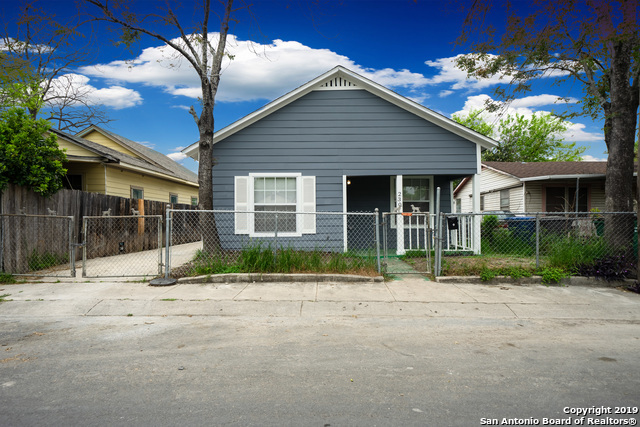 This cute corner home with new floors and nicely painted walls has a small easy to maintain yard. A new water heat as well as plumbing were installed May 2018. This home has a flex room which could be used as a third bedroom. This could be yours!" 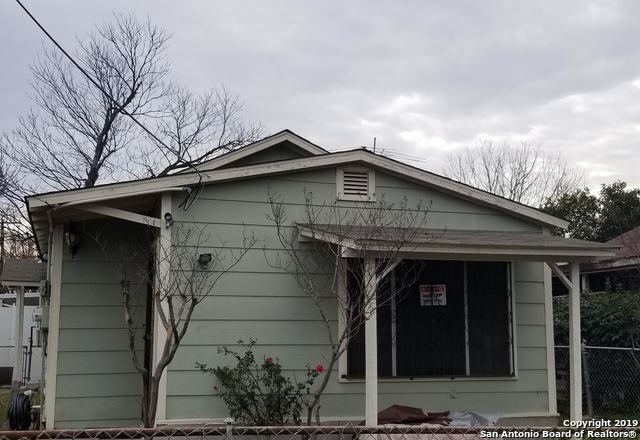 "Recently remodeled with ceramic tile throughout, Granite counter top in kitchen, updated light fixtures and updated faucets in kitchen and bath. Has central AC and Heating. Covered patio, privacy fence and shed." 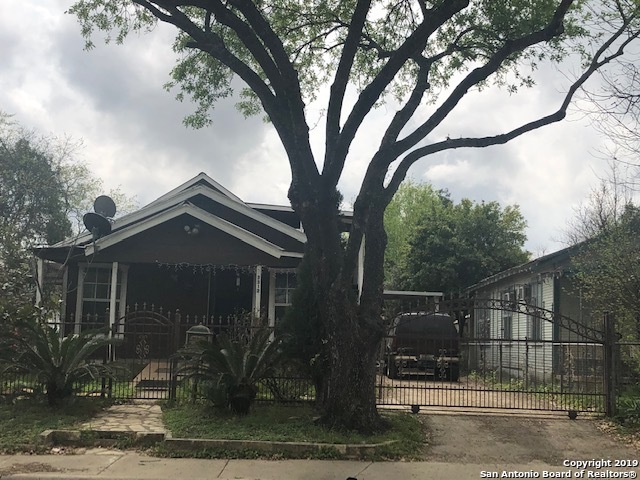 "Many possibilities for this home in an up and coming neighborhood nestled between Downtown and OLLU, close to parks and the river. 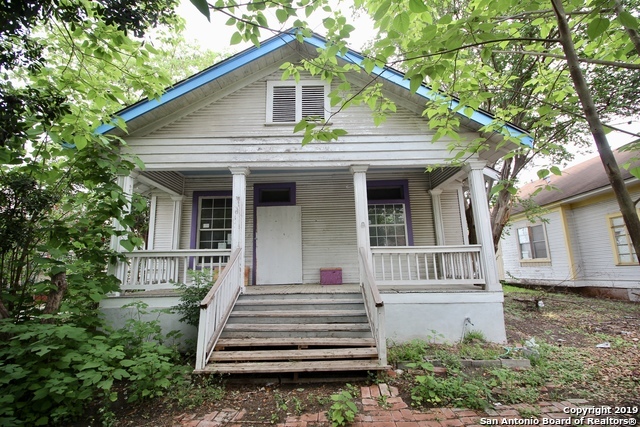 Lots of wood flooring and shiplap, LARGE ROOMS, big yard with alley access, beautiful porch. 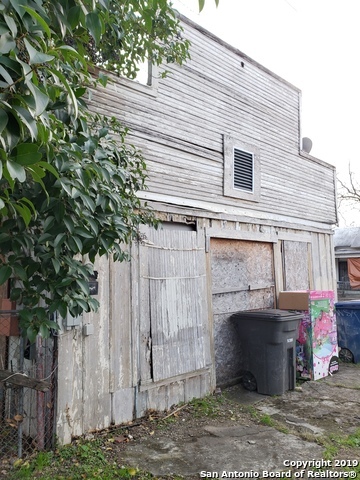 Bring your creativity and designer's skills, and turn this house back into the gem it once was." "Beautiful cozy started home show really nice next door to elementary school very close to downtown and major intersections. It was totally redone new paint new roof new ac unit flooring leveling etc. Easy to show call CSS. REMEMBER TO SHOW IS TO SELL.....won't last long!!!!!!" 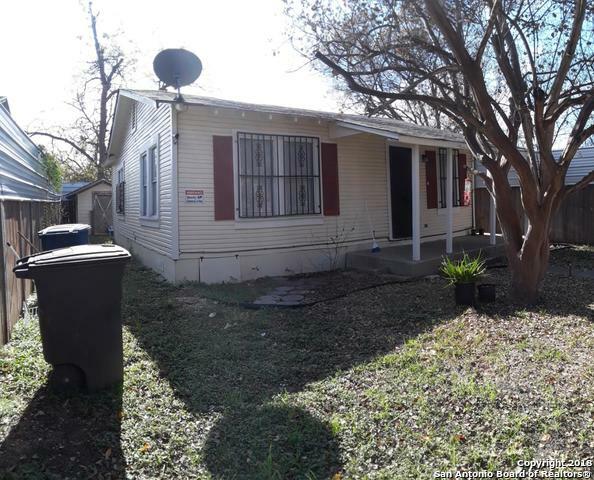 "Excellent location on the Westside of San Antonio. Property has already been zoned C3 for business. 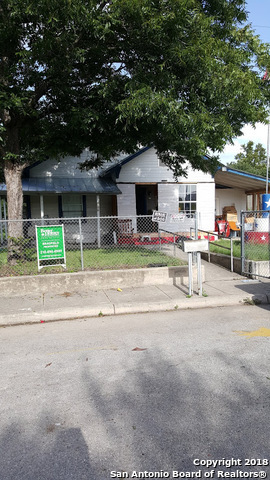 Property will provided excellent business opportunities with 3230 W. Commerce. High traffic thoroughfare running from downtown to Our Lady of the Lake University. 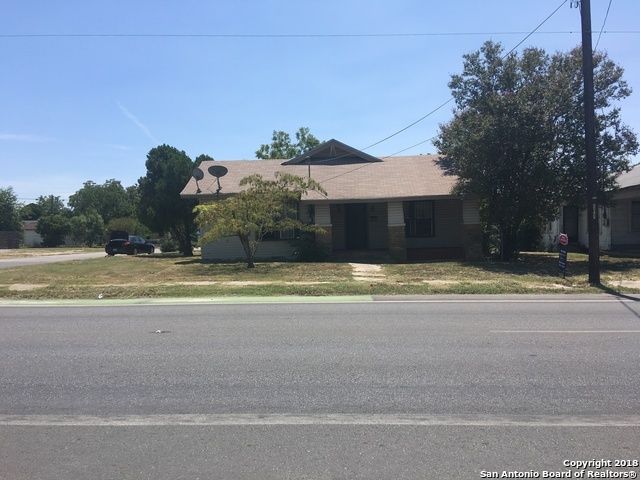 Excellent with property at 3230 W. Commerce for attorney's office, medical offices, retail. Public transportation on Commerce St."
"New Paint, Carpet. Perfect starter home or finish out addition for your master bed and bath. Owner Finance Available." 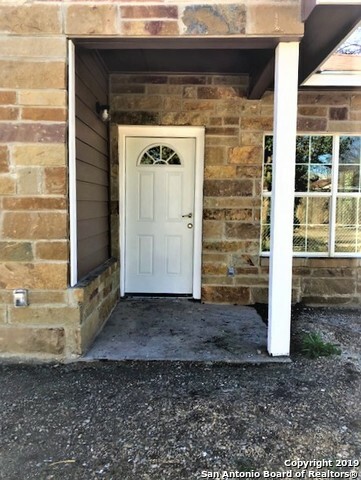 "Great 3 bedroom 2 bath home. Lots of space in this home. Could use a little TLC. Great kitchen with lots of cabniet space. Refrigerator. Tiled bathrooms. Tile throughout the home. Washer and dryer hook ups. Large yard with mature trees. Great for family get togethers and BBQ's. Close to schools and shopping!" "Excellent investment potential. Historic Property in a quiet area close to downtown. Needs some love, but perfect for a historic rehab. Large corner lot. Selling in as is condition. 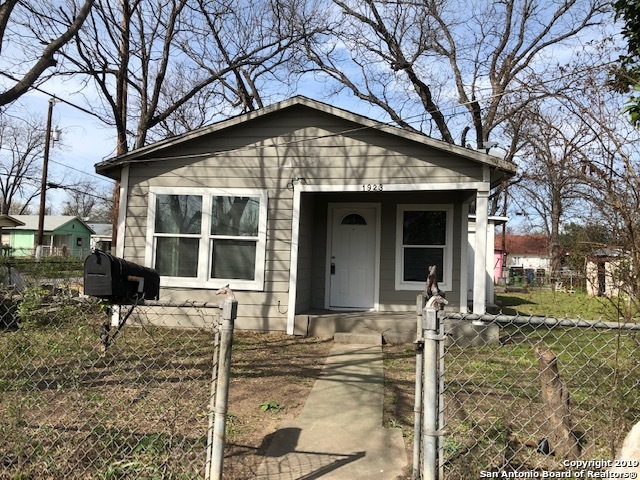 Bring your investors and make an offer..."
"Great Home 2 Bedrooms, One bathroom with a possibility for a 3rd Bedroom. Good Size Family Room is Open to Kitchen and Breakfast Area. Back Yard is Fenced In For BBQ's and Entertaining, Also Included is a Good Size Shed in the Back Yard. Enough Space to Park Your Car in the Drive Way, Enjoy Nice Morning and Evenings in the Front Covered Porch. Close to Shopping and Schools..."
"TINY HOUSE FOR A TINY PRICE! Check out this casa chiquita w/ amazing curb appeal on a huge corner lot in city center. Natural light beams in thru new windows-this home is a great use of space. Set up as 2 bedrooms or use 1 bedroom for a flex space--generous kitchen open to small living or dining area. 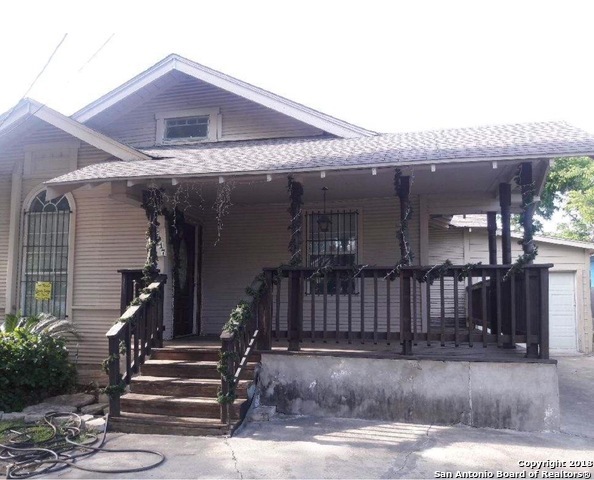 Enjoy a charming front porch & large level yard that is fully fenced w/ a side entry carport. New roof, electrical, paint. Steps from park/schools, 3 mi to downtown, 1 mile to 90, convenient to mil"